Providence College graduate students who wish to serve others and better the world through a career in counseling may be eligible to receive financial support to achieve that goal through a new endowment, thanks to Dr. John V. Monsour ’69. Experiences of love, loss, travel, and counseling others have inspired Dr. John V. Monsour ’69 to create an endowment to support graduate students who plan to go into the counseling field. 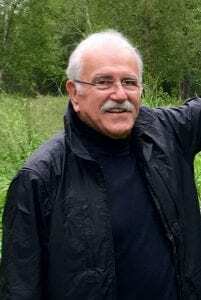 Monsour, who counseled clients from Florida to Alaska over his 40-year career, set up a $500,000 charitable remainder trust to establish the Dr. John V. Monsour Endowment for Counseling Education. The endowment provides financial aid to master’s-level students in the College of Professional Studies who plan to go into a counseling field. Monsour’s life has been full of travel and human connections, great love and great loss. He said creation of the endowment has brought those experiences full circle and provided a welcome perspective on the impact he can have on the world, even beyond his own life and career. That career was born out of an almost-cliché experience, talking to life-weary strangers while bartending on Block Island during summers in the late 1960s while he earned his bachelor’s degree in history at PC. Moved by those conversations and the interest in counseling others that it awoke in him, he went on to earn his Ph.D. in psychology from Andover Newton Theological School in Massachusetts and pursued post-graduate studies at psychology institutes in Zurich and Washington, D.C.
Monsour founded and was the executive director of a nonprofit counseling center in Florida, where he worked alongside the first love of his life, Kay, until she died of cancer. 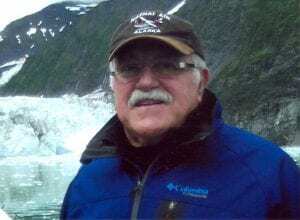 After her death, he took a counseling position in the northernmost Inupiat Eskimo villages of Alaska, where he married again and worked alongside his second wife, Betty. Sadly, Betty also succumbed to cancer. After Betty’s death, Monsour retired but continues to live an active life on the edge of the Mohave Desert in St. George, Utah. Last May he visited the PC campus for just the second time in nearly 50 years to celebrate the College’s 100th anniversary. He was impressed by the landscape changes and the “cool, innovative things” taking place on campus, and was inspired to create the endowment. Dr. John V. Monsour ’69 counseled individuals from Florida to Alaska during his 40-year career. “I was married to two really great, smart, accomplished women, both wiped out by cancer. That’s what was in the back of my mind — what kind of a legacy can I leave to honor them? At the same time, I realized my 50th reunion at PC is coming up in 2019. All of a sudden it made sense to develop this scholarship endowment,” said Monsour, who also made several other planned gifts to support the graduate counseling endowment totaling more than $2 million. “Both of my wives got their doctoral degrees later in life, after raising families. I remember them both studying at the kitchen table late into the night, and it wasn’t easy,” he recalled. “That’s what I want to challenge the students with,” he said. Monsour added that his campus visit last year caused him to reflect on his own education and realize how PC has remained true to its core values.